Early Friday afternoon rain forced the first 2016 NASCAR Sprint Cup Series (NSCS) practice session at Richmond International Raceway (RIR) to be cut short (by around 20-minutes), and it was Kevin Harvick – with a lap speed of 129.069 MPH – who was the quickest in the shortened Toyota Owners 400 practice. Joey Logano was second quickest in the session with a lap speed of 128.694 MPH, and he was followed by Jimmie Johnson (128.187) who was third, last week’s winner Carl Edwards (128.181) fourth and Denny Hamlin (128.156) was fifth. Rounding out the top-10 quickest drivers in the session were Brad Keselowski (128.011 MPH) who was sixth, Kurt Busch (127.799) seventh, Kasey Kahne (127.334) eighth, Kyle Busch (127.298) ninth and AJ Allmendinger (127.220) posting the 10th-quickest lap speed. Weather permitting, the teams will return to the track at 4:15 p.m. (ET) on FOX Sports 1 for qualifying to determine the starting lineup for Sunday’s race, and it was Jeff Gordon – on Sept. 7, 2013 – that currently holds the series’ RIR qualifying track record speed of 130.599 MPH. If qualifying is rained out, then the starting lineup will be based upon this practice session’s speeds. On Saturday, the teams will have two more practice sessions in the morning beginning with a 8:30 a.m. – 9:25 a.m. (ET) on FOX Sports 1 session, and then their “Happy Hour” (final) practice from 11:00 a.m. – 11:55 a.m. (ET) on FOX Sports 1. The 62nd annual Toyota Owners 400 is scheduled to get underway around 1:20 p.m. (ET) Sunday afternoon on FOX. 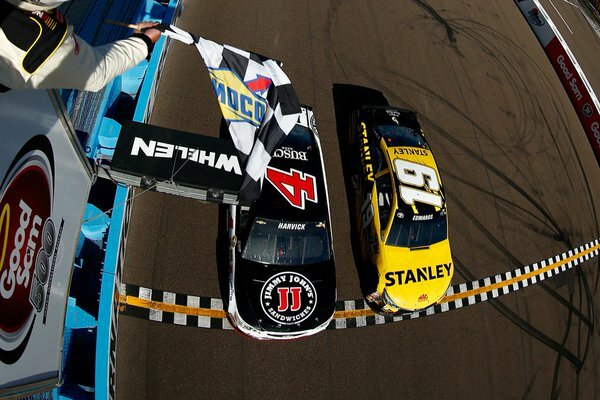 The 2015 March NASCAR Sprint Cup Series (NSCS) Phoenix Int’l Raceway event winner, Kevin Harvick, defended his victory with a dominant win in Sunday’s 2016 NSCS Good Sam 500(k) at Phoenix International Raceway. 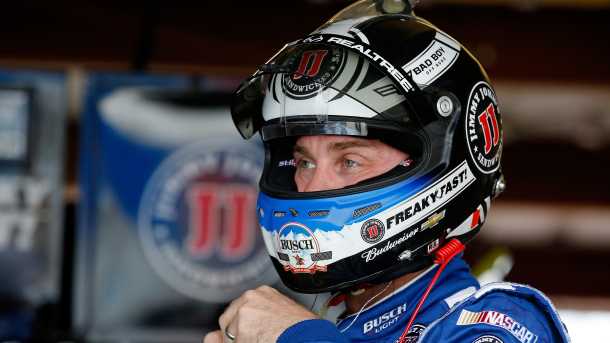 Harvick, who led the most laps – 139 out of 313, received his first series victory and fourth top-10 finish of the season, his 32nd series career victory in 542 races and his eighth series victory in 27 races at Phoenix International Raceway. 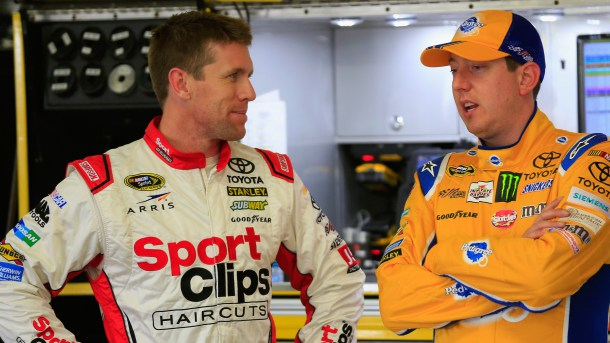 Carl Edwards finished 0.010 seconds behind Harvick to finish in the runner-up position (a new track record. Previously held by Ryan Newman with a 0.13 second win over Jeff Gordon in 2010), and they were followed by Denny Hamlin finishing third, pole-sitter Kyle Busch fourth and Dale Earnhardt Jr. finished in fifth. Rounding out the top-10 finishing positions were Kurt Busch bringing home sixth, Matt Kenseth seventh, series Rookie of the Year (ROTY) candidate, Chase Elliott eighth, Austin Dillon ninth and ROTY candidate Ryan Blaney taking 10th-place. 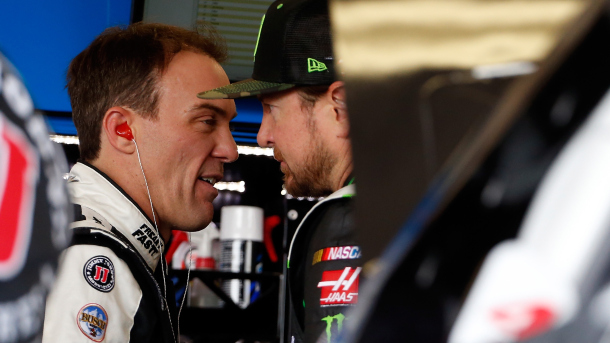 Both Kevin Harvick and Kyle Busch leave Phoenix with the identical amount in the point standings (154), but with his victory today, Harvick is recorded as the points leader. Time of Race: 2 Hrs, 45 Mins, 53 Secs. Up Next: The Auto Club 400 at Auto Club Speedway on Sunday, March 20th, with an approximate starting time of 3:50 p.m. (ET), and television coverage provided by FOX. Notes: At-track tech is done. No issues. Harvick and Edwards cars back to R&D. 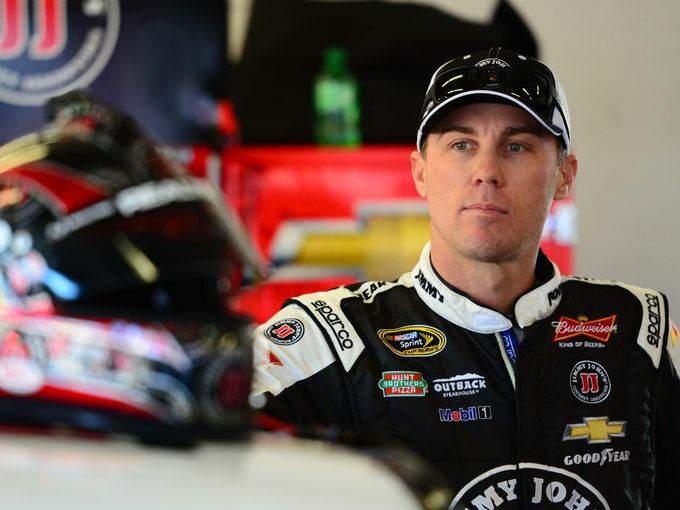 The 2014 NASCAR Sprint Cup Series (NSCS) champion, Kevin Harvick – with a lap speed of 136.317 MPH – finished at the top of the speed chart in Saturday’s final 2016 NSCS Good Sam 500(k) practice session at Phoenix International Raceway. Second quickest in the session with a lap speed of 136.173 MPH was Kurt Busch, and he was followed by his brother and pole-sitter, Kyle Busch (136.096 MPH) who was third, series Rookie of the Year (ROTY) candidate, Chase Elliott (136.044) fourth and Austin Dillon (135.947) was fifth. Rounding out the top-10 quickest drivers in the “Happy Hour” (final) practice were Kasey Kahne (135.926 MPH) who was sixth, Brad Keselowski (135.916) seventh, Martin Truex Jr. (135.905) eighth, Joey Logano (135.859) ninth and ROTY candidate Ryan Blaney (135.813) posting the 10th quickest lap speed. 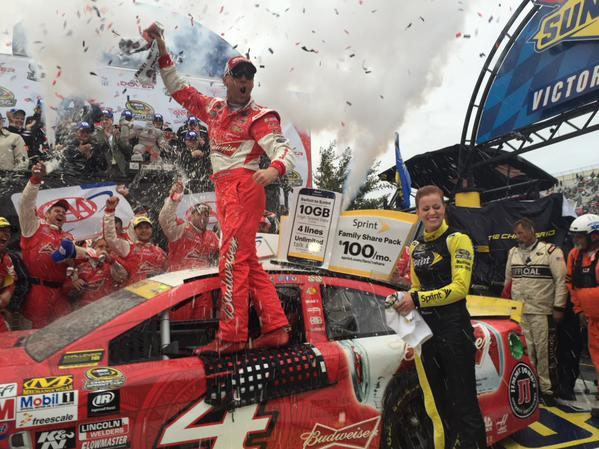 Kevin Harvick did what he needed to do to advance from round 1 in the “chase for the NASCAR Sprint Cup championship,” and that was to win Sunday’s NASCAR Sprint Cup Series (NSCS) AAA 400 at Dover International Speedway. Harvick, who dominated the race as he led the most laps – 355 out of 400 – and had to win to advance, received his third series victory and 23rd top-10 finish of the 2015 season, his 31st series career victory in 531 races and his first series win in 30 races at Dover. Finishing 2.639 seconds behind Harvick for second-place was Kyle Busch, and they were followed by Dale Earnhardt Jr. finishing third, Jamie McMurray fourth and Aric Almirola finished fifth. Rounding out the top-10 finishing positions were Kasey Kahne bringing home sixth-place, “pole-sitter” Matt Kenseth seventh, Ricky Stenhouse Jr. eighth, Kyle Larson ninth and Joey Logano claimed 10th-place. 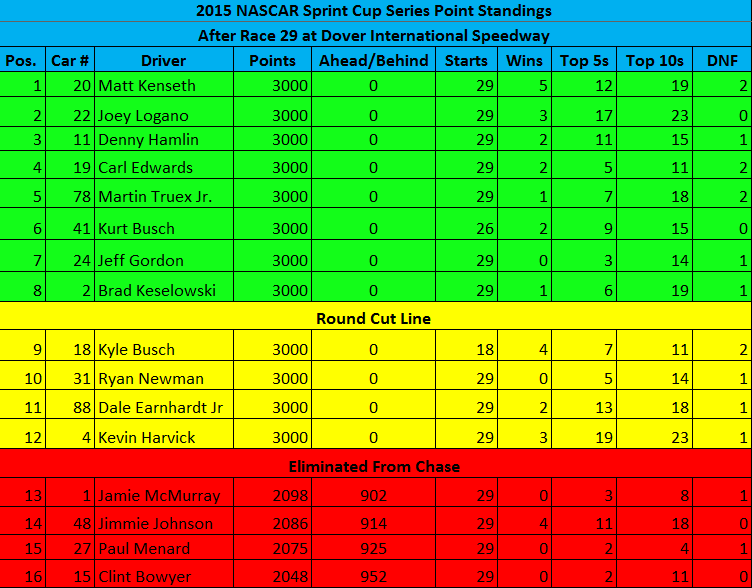 With round 1 – The Challenger Round (Chicagoland, New Hampshire & Dover) – over, the points now reset to 3000 for all 12 drivers advancing to round 2 – The Contender Round (Charlotte, Kansas & Talladega). 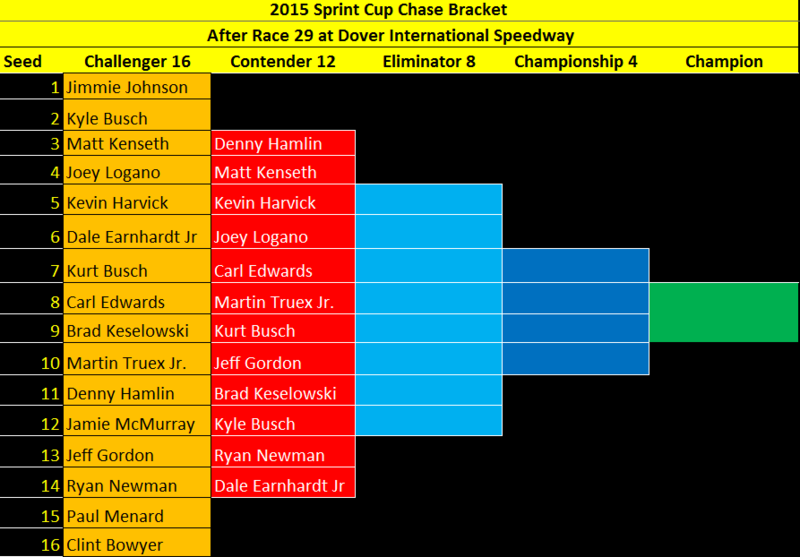 Those 12 drivers advancing are: Kevin Harvick, Matt Kenseth, Denny Hamlin, Kyle Busch, Joey Logano, Jeff Gordon, Ryan Newman, Martin Truex Jr., Kurt Busch, Brad Keselowski, Carl Edwards and Dale Earnhardt Jr. Note: Dale Earnhardt Jr., and Jamie McMurray finished round 1 with the identical points (2098) and were tied for 12th-place, and based upon the NASCAR rulebook, the tie-breaker went to Dale Jr., who had the best finish between the two in the round 1 races (which came in today’s race, finishing third and fourth respectively). Time of Race: 3 Hrs, 20 Mins, 13 Secs. Up Next: The Bank of America 500 at Charlotte Motor Speedway on Saturday, Oct. 10th, with an approximate starting time of 7:20 p.m. (ET) on NBC. The reigning NASCAR Sprint Cup Series (NSCS) champion, Kevin Harvick, with a lap speed of 134.577 MPH, was the fastest early Saturday afternoon during the final SYLVANIA 300 practice session at New Hampshire Motor Speedway (NHMS). Kyle Busch was second fastest with a lap speed of 134.150 MPH, and he was followed by Brad Keselowski (134.032 MPH) who was third, Jimmie Johnson (133.943) fourth and Sunday’s pole-sitter Carl Edwards (133.919) was fifth. Rounding out the top-10 fastest drivers in the “Happy Hour” (final) practice were Kasey Kahne (133.905 MPH) who was sixth fastest, Denny Hamlin (133.896) seventh, Austin Dillon (133.576) eighth Kurt Busch (133.562) ninth, and Matt Kenseth (133.553) posting 10th. 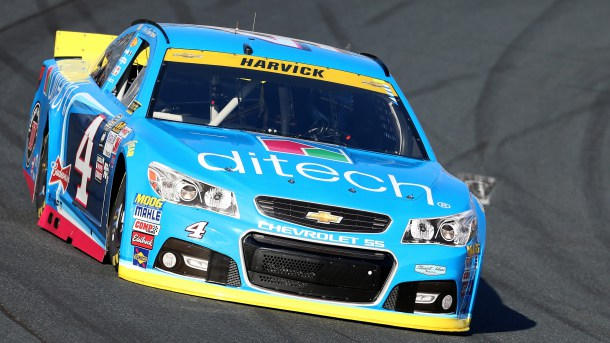 The 19th annual SYLVANIA 300 is scheduled to get underway around 2:20 p.m. (ET) Sunday afternoon on NBCSN. The NASCAR Sprint Cup Series (NSCS) teams were up early Saturday morning for their second SYLVANIA 300 practice session, and it was the event pole-sitter Carl Edwards – with a lap speed of 133.516 MPH – showing the quickest way around New Hampshire Motor Speedway (NHMS). Second quickest in the session with a lap speed of 133.427 MPH was outside pole-sitter Kevin Harvick, and he was followed by Brad Keselowski (133.399 MPH) who was third, Joey Logano (132.845) fourth and Kurt Busch (132.803) was fifth. Rounding out the top-10 quickest drivers in the session were Dale Earnhardt Jr. (132.752 MPH) who was sixth, Jimmie Johnson (132.748) seventh, Denny Hamlin (132.734) eighth, Matt Kenseth (132.715) ninth and Austin Dillon (132.702) posting the 10th-quickest lap speed. “Happy Hour” (final) practice will be from 11:30 a.m. – 12:20 p.m. ET on NBCSN later this morning/early afternoon. Qualifying on Friday for Sunday’s NASCAR Sprint Cup Series (NSCS) myAFibRisk.com 400 at Chicagoland Speedway was canceled due to rain, and the starting lineup will be based upon the NASCAR rule book – practice session speeds/owners points and attempts made. 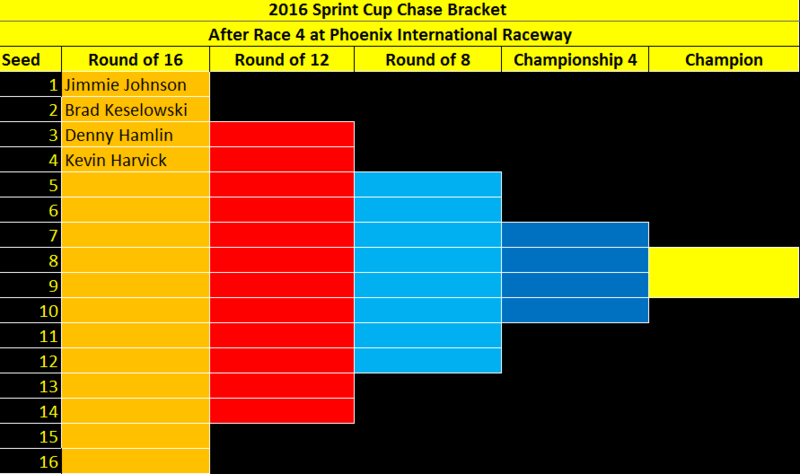 Leading the field to the drop of the green flag on Sunday will be the defending series champion, Kevin Harvick, and he will be followed by Joey Logano starting second, Brad Keselowski third, Martin Truex Jr. fourth and Austin Dillon starts fifth. Rounding out the top-10 starting positions will be Ryan Newman starting from sixth, Kyle Busch seventh, Kasey Kahne eighth, Kurt Busch ninth and Jeff Gordon will start 10th. On Saturday, the qualified teams will have two more practice sessions starting with an early afternoon session from 1:30 p.m. – 2:25 p.m. ET on NBCSN, and then their “Happy Hour” (final) practice from 4:30 p.m. – 5:20 p.m. ET on NBCSN.